Banat black pine is an infrataxon sometimes considered as subspecies, sometimes as variety of black pine, with natural spreading area in southwestern Romania, on Banat Mountains, from where it slightly extends into south of the Danube, in Serbia. The controversy surrounding the position of Banat black pine in southwestern Romania has been known since the last century. The Banat black pine population from this part of Romania has never been thoroughly studied at the molecular level. A future direction of study could be that variability analysis and genetic structure of individuals from natural population of Pinus nigra ssp. Banatica in southwestern Romania, using genetic markers. Bonnet-Masimbert. M. et Bikay-Bikay V., 1978. Variabilite intraspecifique des isozymes de la glutamate- oxalolaceate-transaminase chez Pinus nigra Arnold. Interet pour la taxonomie des sous especes. Silvae Genetica. 27: 71-79. Borza A., 1947. Conspectus florae Romaniae regionumque affinium. Romanian Book, Cluj. 160 pp. Boşcaiu N. et Boşcaiu M., 1999. On the presence of Pinus nigra subs. pallasiana in Romania, Wiss. Mitt. Niederösterr. Buza M., Badea L., Alexandru M., Dinu M., C. Drugescu C., Sencu V., 1981, Cerna Valley: Geography study. (In Romanian). Academia Republicii Socialiste Romania Press, București. 149 pp. Debazac E.F., 1964. Manuel des coniferes. Nancy, France. p: 93-109. Doniţă N., Popescu A., Paucă-Comănescu M., Mihăilescu S., Iovu A.B., 2005: Romanian habitats. (In Romanian). Tehnical Forest Press, București. p 254-255. Cambridge: Cambridge University Press. p. 33-34. Cambridge: Cambridge University Press. p. 40-44. Georgescu C.C., (1936). Neue Beiträge zur Systematik der Schwarzföhre. - Feddes Repert. 41: 181-188. Heuffel, J., 1858. Enumeratio plantarum in Banatu Temiesensis sponte crescentium et â frequentium cultarum. - Vindobonae: Caroli Ueberreuter. p 198-199.
and use for European black pine (Pinus nigra). International Plant Genetic Resources Institute, Rome, Italy. p 6. Jalas J., Suominen J., 1973. Atlas Flora Europaeae 2, Gymnospermae. Kirjallisuuden Kirjapaino Oy. Helsinki. 40 pp. Keeley J.E., 2012. Ecology and evolution of pine life histories. Annals of Forest Science (2012) 69: 445. doi:10.1007/s13595-012-0201-8. Matacă S. S., 2005. Protected flora and vegetation from Iron Gates Natural Park. (In Romanian). Ecos-Ecology Press. p 108. Negulescu E.G.et Săvulescu AL., 1965: Dendrology. (In Romanian). Agro-Forest Press, București. p 108. Nikolic Ð., et Tucic, N. (1983). Isoenzyme variation within and among populations of European black pine (Pinus nigra Arnold). Silvae Genetica, 32(3/4), 80-89. Părnuță Gh., Budeanu M., Scărlătescu V., Tudoroiu M., Nică M., Lorenț A,. Dinu C., Stuparu E,. Chesnoiu E,. Filt M,. Teodosiu M,. Daia M,. 2011. National Catalog of forest genetic resources. (In Romanian). Foresty Press. p 139- 140. Părnuță Gh,. Stuparu E,. Scărlătescu V,. Lalu I,. Lorenț A,. Teodosiu M,. Chesnoiu E,. Mirancea I,. Pepelea D,. Marin S,. Daia M,. Șofletea N,. Budeanu M,. Marica F,. Tudoroiu M,. Filat M,. Nică M,. Pârnuță P,. Marcu C,. Dinu C,. Dima Gh,. Cutrtu A. L,. 2012. National Catalog of the basic material for the production of forest reproductive material. (In Romanian). Foresty Press. p 200. Poscovschi S. et Leandru V., 1958. Types of forests from Romania. (In Romanian). Agro-Forest Press, București. p 171-173. Price R. A., Liston A., Strauss S. H., 1998. Phylogeny and systematics of Pinus. Ecology and biogeography of Pinus, p 49-68. Rubio-Moraga A, Candel-Perez D, Lucas-Borja ME, et al., 2012: Genetic Diversity of Pinus nigra Arn. Populations in Southern Spain and Northern Morocco Revealed By Inter-Simple Se-quence Repeat Profiles. 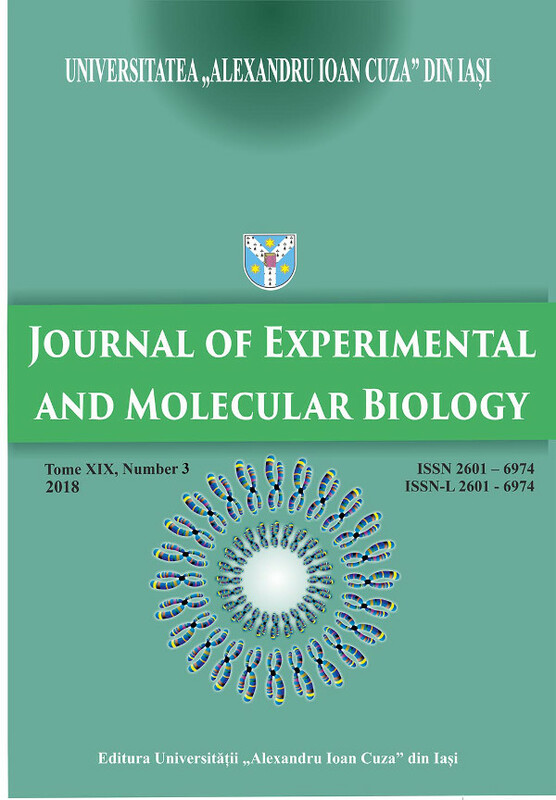 International Journal of Molecular Sciences; 13(5):5645-5658. doi:10.3390/ijms13055645. Rochel A., 1828: Plantae Banatus rariores iconibus et descriptionibus illustratile. - Pestini: L. Landerer de Fuskut. 203 pp. Sarac Z., Bojovic S., Nikolic B., Zlatkovic B., Marin P., 2014. Application of canonical discriminant analysis in differentiation of natural populations of Pinus nigra in Serbia based on terpene composition. Biologica Nyssana, 5, 11-15. Săvulescu T., Alexandrescu, L., Beldie AL., Buia, Al., Georgescu C. C., Grințescu Gh., Gușuleac M., Grințescu I., Morariu I., Prodan I., Țopa E., 1952: Romanian Republic Flora. (In Romanian). Romanian Republic Academy Press. 657 pp. Scaltsoyiannes A., Rohr R., Panetsos K. P., Tsaktsira M., 1994. Allozyme frequency distributions in five European populations of black pine (Pinus nigra Arnold), Silvae Genetica. 43, 20-30. Schwarzott, J.C., 1831: Die Hercules Bader bei Mehadia, Wien, p 111.